Mouse anti Human CAND1 antibody recognizes the cullin-associated NEDD8-dissociated protein 1, also known as TBP interacting protein, TBP-interacting protein 120A, TBP-interacting protein of 120 kDa A, cullin-associated NEDD8-dissociated protein 1, cullin-associated and neddylation-dissociated protein 1 or p120 CAND1. 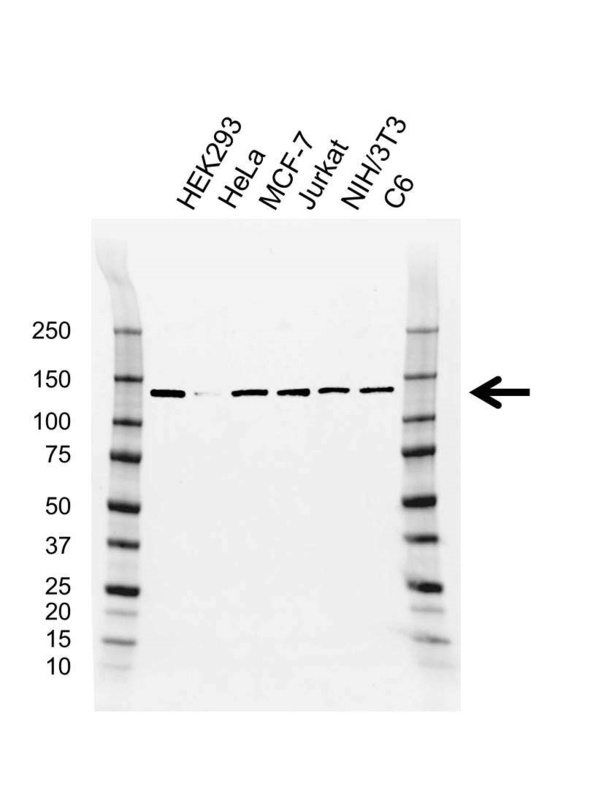 Mouse anti Human CAND1 antibody detects a band of 136 kDa. The antibody has been extensively validated for western blotting using whole cell lysates.